Again and for the second consecutive time, PARTTEAM & OEMKIOSKS is recognized and awarded by the Municipality of Vila Nova de Famalicão, with the Seal "Famalicão Visão'25" in the "Famalicão Made In" category, through ClusterWall software. 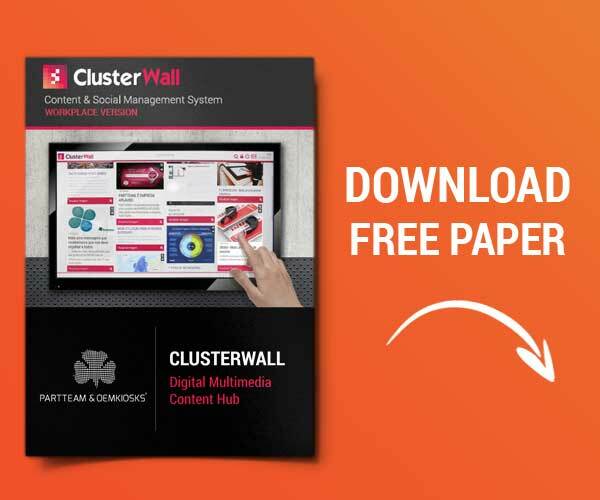 ClusterWall is an interactive platform, much like a social network, that allows the creation, management and optimization of content, in an easy and intuitive way. A solution developed by PARTTEAM & OEMKIOSKS, which can be integrated in various digital media, such as multimedia kiosks, interactive billboards, touch screens, among others. The "Famalicão Visão'25" Seal aims to identify initiatives, actions, products or services that contribute to the recognition of the municipality by 2025 as a cohesive, solidary society with high economic and technological performance. Innovative and enterprising ideas that promote the smart, sustainable and inclusive growth of the county are distinguished. 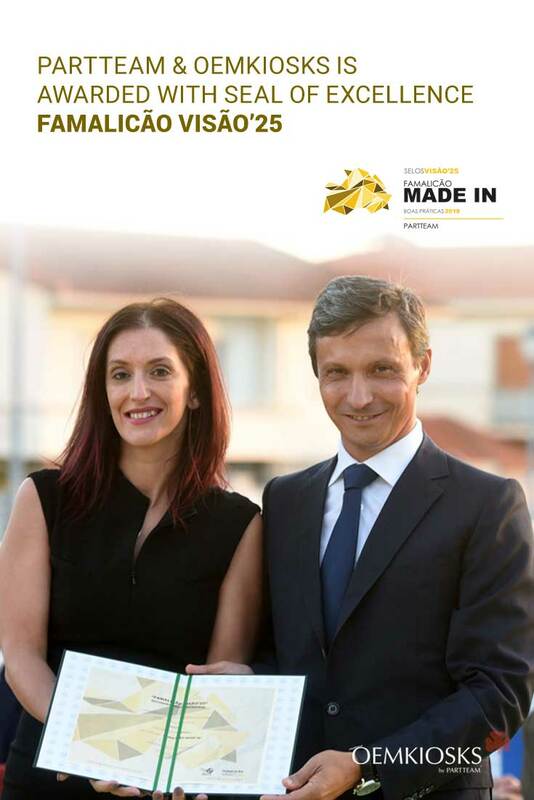 PARTTEAM & OEMKIOSKS is proud of this honorable distinction, contributing innovative technological solutions that improve the economy and the lives of all citizens, especially the Famalicenses. KNOW MORE ABOUT OUR CLUSTERWALL SOFTWARE !